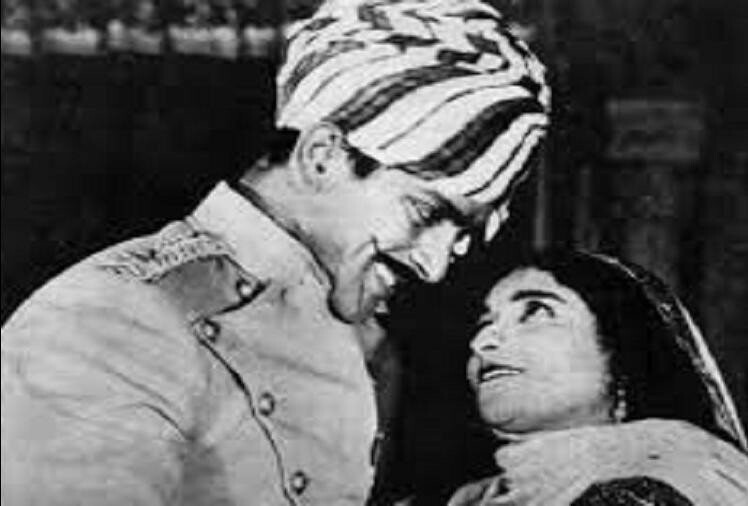 Carnival of Blogs on Golden Era of Hindi Film Music, December, 2018 – The world is too small? or Is it? Welcome to December, 2018 edition of Carnival of Blogs on Golden Era of Hindi Film Music. We will take up posts dedicated to commemorate 112th birthdate of Prthviraj Kapoor.as THE topic for December, 2018. Mohammad Rafi – A God-gifted voice. Shakeel-Naushad: Classy Confluence, Seamless Flow – 1 – Shakeel Badayuni is considered to be one of the finest romantic poets of the previous century. And Naushad among the monarchs of Hindi film music. When they teamed up, the result was classic! Vijay Kumar pays a tribute to this inimitable confluence with an exploration of the music and poetry they created together. Remembering my father and the legend Madan Mohan – In response to SoY invitation, Sangeeta Gupta, the eldest daughter of Madan Mohan, joins in contributing a guest article on Madan Mohan’s songs ‘with other singers’ as a touching finale to the tandem series on Roshan and Madan Mohan on SoY. Happy Birthd Usha Mangeshkar! And Usha Mangeshkar – II are the posts in tribute to her 83rd birthday. The former lists her Hindi and Marathi solo songs whereas the latter lists her duets. Songs ‘sung’ by people with disabilities: my favourites, lists some superb songs ‘sung’ by people with disabilities to observe the International Day of Persons with Disabilities. December, 2018 episode of Fading Memories, Unforgettable Songs is dedicated to Mohammad Rafi’s First Song with a Music Director’s 3rd Five Year period’s year 1956.. The corresponding post for years 1954 and 1955 was published on 8 July, 2018, and for the solo songs of tears 1957 and 1958 is published on 24 December, 2018. All the three separately posted posts of Mohammad Rafi’s First Solo Song With The Music Director: 1954 -1958 can be accessed at / downloaded by clicking on the hyperlink. The ‘Radio Songs’ from Hindi films are the songs that have radio to a major extent. The song can be the one which is being played on radio and is also seen being recorded too. The Great Horse Beat Songs of Bollywood resonates in our memories even today thanks to some of the great songs composed on that rhythm. Musically Yours, 1963: Part 3 – This is Part 3, following up Part 1 and Part 2 in a 4-part series of essays, exploring the Hindi film music of 1963, the year of birth of the writer Monica Kar. In a personal tribute to composers who gave music that makes its presence felt even after 55 years, Monica Kar explores the enduring magic of three composer-duos – Shankar Jaikishan, Kalyanji-Anandji and Laxmikant-Pyarelal. Ten of my favourite Bharat Vyas songs lists the songs of Bharat Vyas to pay tribute in the centenary year of his birth. If it’s a Harp, This Could be a Woman – there is a musical instrument that is mostly associated with women, and it’s an ancient instrument too, so for observation’s sake, its history can be studied in some detail. The instrument is called the harp, whose early shape was inspired by the curve of the hunting bow. It now comes in many shapes, but in all of them, it has a charming appearance. The post lists songs featured on women with harp. Mann Kyun Behka – Utsav – Midnight Musings Aditi and Vasantsena in Utsav (1985) bonding over their love for Charudutta share their feelings in this duet..
Jogi Jab Se Tu Aaya – Bandini – Under The Spell is the song that Love makes its presence felt and before you know it, you are under the spell. SoY concluded Best songs of 1947: And the winners are? With the concluding piece Best songs of 1947: Final Wrap Up 4 adjudging Naushad and C Ramchandra as joint winners. Micro View of Best songs of 1947: And the winners are? with the Duets of 1947, All the episodes of The Micro View of Best Songs of 1947 can be read / downloaded from one file, by clicking on the hyper link. I wish that 2019 remains resonant with chimes of success and happiness for you and your family. P.S. : All episodes of our blog carnival of articles and posts on Hindi film Songs for the year 2018 can be accessed at / downloaded from in single file by clicking Carnival of Blogs on Golden Era of Hindi Film Music – 2018.